Several steps are being taken to achieve 8-10 per cent growth in leather exports in the next two years, an industry body said, underlining the importance of the sector in earning foreign exchange. Council for Leather Exports (CLE) is planning buyer-seller meets in different countries and participation in global trade fairs to achieve the target, its chairman P R Aqeel Ahmed said. According to him, this labour intensive sector has huge potential to earn foreign exchange for the country and create jobs for youth. "Currently, our exports are around $6 billion. I am targeting 8-10 per cent growth in the next two years and for this we have planned several steps. Commerce and Industry Minister Suresh Prabhu has assured full support to achieve this target," Ahmed told PTI. He said as many as ten buyer-seller meets are planned in the US, Japan, Latin America, and Russia. The council members will participate in all major leather trade fairs in counties such as Italy, Germany, Australia and the US. The commerce minister has announced Rs 2,600 crore package for the leather sector to boost exports and the disbursal of the money would now start for upgrading infrastructure and other things, Ahmed said. "These incentives would help us in attracting investments, push production and create new jobs," he said. Ahmed said the council would also work in exploring new markets in Africa and Latin America. "Peru and Chile hold huge export potential. We are taking our players there to meet businesses of these countries," the chairman said. Seeking government intervention to address the challenges being faced by the sector, he said unavailability of timely and affordable credit is an important issue which needs urgent attention for the segment. Besides, there is a need to focus on research and development of new technologies and attracting foreign investments to push the growth of the sector, he added. "Leather is the sector where we import raw material worth about USD 600 million per year and using that we export products worth about USD 6 billion. This means there is a huge value addition potential in the sector," he said. 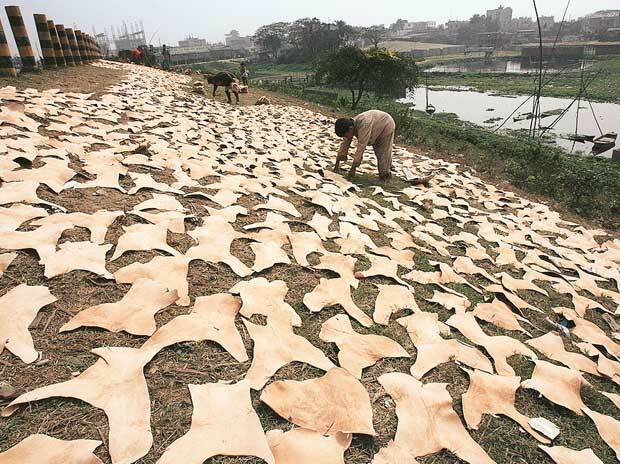 Currently, Europe accounts for about 70 per cent of leather exports from India. The sector employs about 42 lakh people.